Cosmos Knitting International official website was revised in response to today high-tech-generation. It is official online on 9 March 2016. The new official website is responsive because it was designed by the new technology. It can be responded to every screen size like cellphone and tablet PC. The design of this new website was based on customers’ needs and used experience. Take Products as example, we add some categories, like “Garments”,” Shoes” and” Others”. Customers can find products which they need more easily but spend less time. There have material, width, color and other details of products on our new website. If you have any concern, also could contact us through Contact button. We will deal with your concern as soon as possible, and contact you immediately. In a changing world, "creation, service, honesty and quality", Cosmos always keep these four principles in mind, then to face every severe challenge. We believe- the only strategy that is guaranteed to fail is not taking risks. 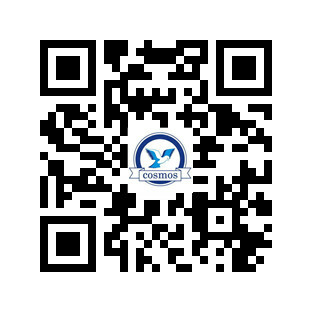 You can scan the QR code below and follow us on cellphone or tablet PC.